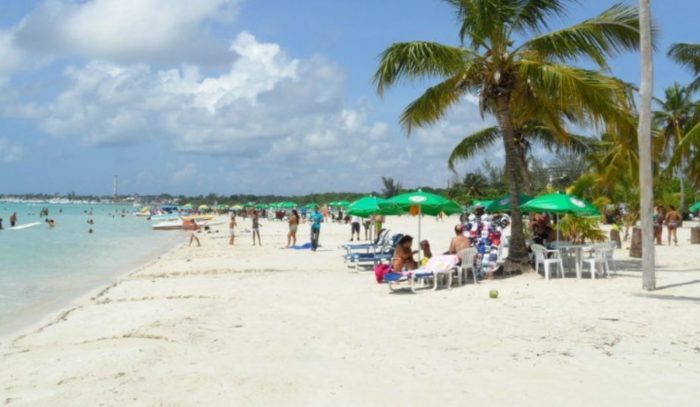 Boca Chica beach is perfect for a temporary escape from crowds and noises. 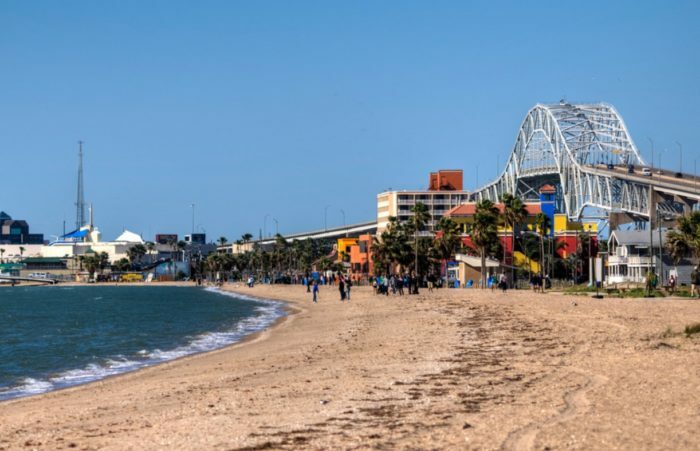 It is situated on a sandy peninsula on the eastern side of Brownsville divided by the Brazos Santiago Pass and Rio Grande River flowing from Mexico. Until today, the beach has been able to be free of ‘development’ completely except a jetty extending out to the Gulf of Mexico and a few stilt houses. Even though it is listed as a state park beach in Texas, there is no parking facility. So, miles of lonely sand and clear green water swooshing against the sand is a must-see for any tourist who wants a break from civilization. This beautiful beach has to be one of the best Texas beaches. A tropical paradise off the southmost point of Texas, South Padre Island is a barrier islet on the Gulf of Mexico with 34 mile long beaches. Queen Isabella Causeway has joined the Island to the mainland. This beach is a favorite place for a retreat to the urban people and ideal for long lazy rest under relaxing sunsets on the gilded sands with a fruity cocktail on the edge of lips. Dolphin watching and horseback riding are popular on the island, particularly with families and teenagers. The South Padre Island, Birding and Nature Center, houses 300 plus species of birds including some rare genre and is a great place to seek solicitude. South Packery Channel beach is a sandy oasis between Padre Island and Mustang Island. It is also called as South Packery Jetty Beach for being home to some of the best jetty fishing in Southern Texas. You can spin in tarpon, trout, kingfish or grouper here if you love fishing. The beach is quite famous for its serene and peaceful environment and a great place for swimming, surfing, and snorkeling. 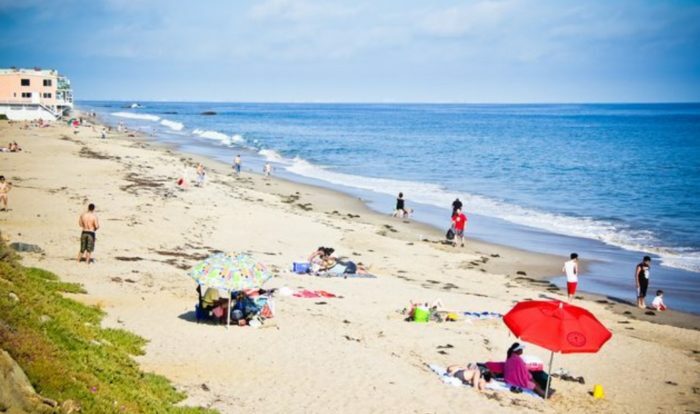 Being comparatively less crowded than other Texas beaches, it’s a fine spot to bring over children to splash in the water or build sandcastles on the beach sand. Thus, it has to be one of the best Texas beaches. 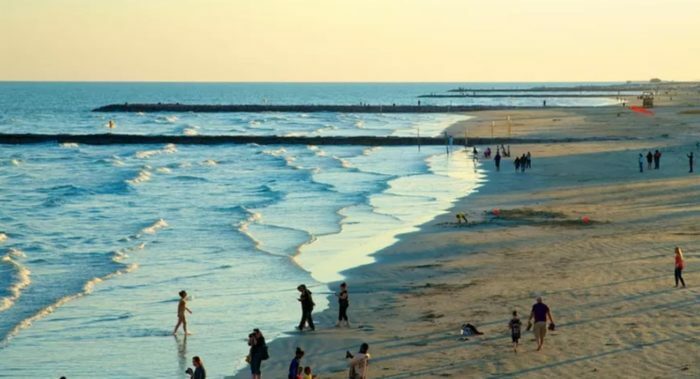 The east beach is the most popular and prettiest beach on the Galveston Island and is always floating with colorful concerts, festivals, and events of various types throughout the entire summer. During the quiet season when the beach seems to be a little deserted, it is the place for a long lonely walk, bird watching or fun fishing. The beach is, in fact, an unintentional by-product of the Galveston Port and Harbor construction project in the 19th century. The attempts excavate the harbor more deeply shifted the current and resulted in the buildup of sands in some jetties that were subsequently filled up to develop the beach. 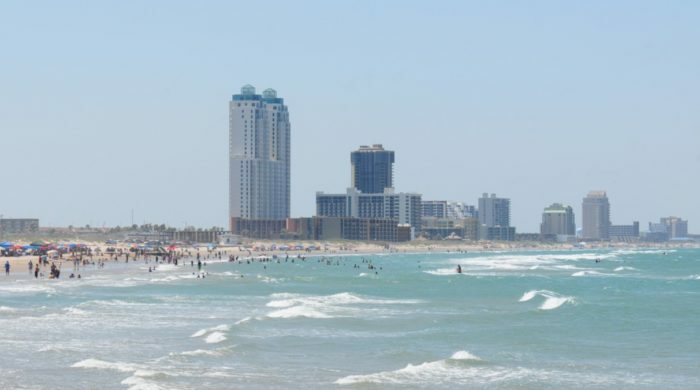 Formerly known as Corpus Christy beach, North beach offers more than surf, sun, and sand! 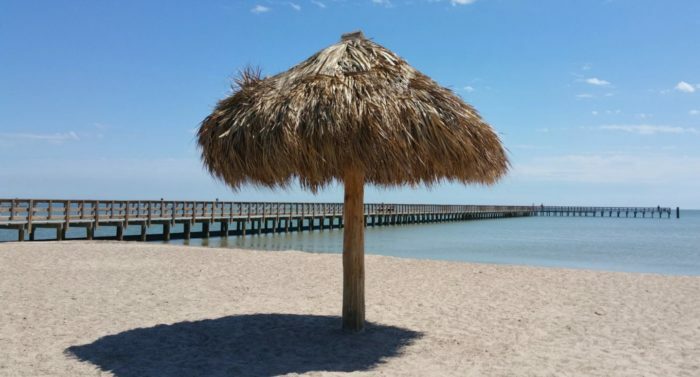 Soak up some pristine, manicured white sands; take a dip in the Gulf, then cool off in a pleasant cabana against the silhouette of the Corpus Christy skyline. Some great Texas tourist attractions are just a few blocks away from North beach which has added to the charm of the beach. Famous WWII aircraft carrier, the USS Lexington has found its permanent home in the adjacent Corpus Christy bay and now is open for public visit. Texas State Aquarium, an assortment of a variety of animals, is also nearby and offer a great refreshment if you feel the sun too hot! 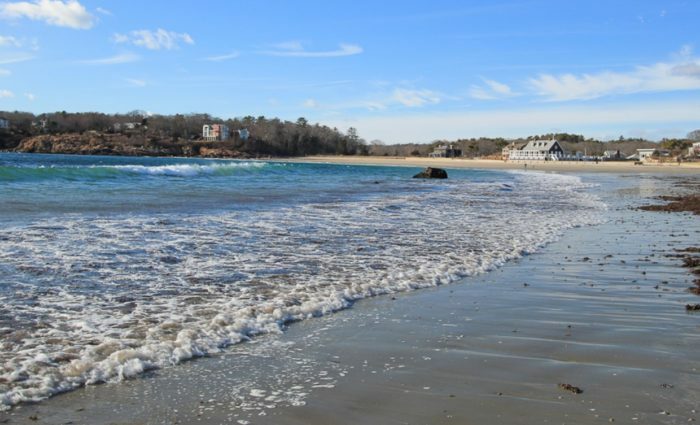 Accredited by the Clean Beaches Coalition as the first blue wave beach in Texas, Rockport beach is a marvelous crescent of stretching sands and cool shallows. It has a long number of picnic spots with shades, grills and tables, kids’ playgrounds, volleyball courts and a lovely walkway along the shore. Being a declared bird sanctuary, many beautiful and colorful birds are often spotted in the area. To protect the environment, cars, dogs, overnight camping and fires are not allowed on the beach. If you love fishing under the sun, swimming in ocean and camping on the beach at night, IB Magee is the beach you should be looking for! 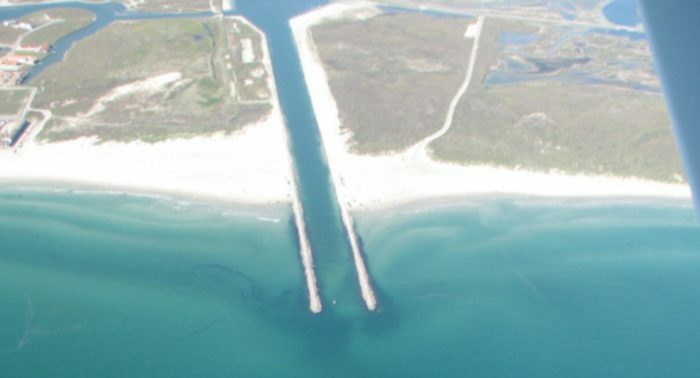 It is situated in Port Aransas on the north side of 18-mile-long Mustang Island and spans over a sparkling sandy area of 157 acres along the shipping channel. 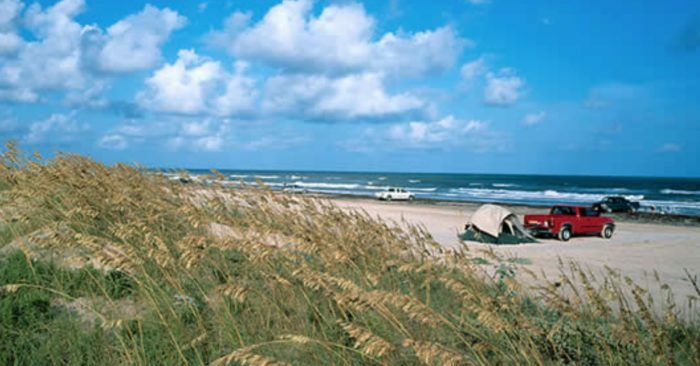 The beach is open for visitors all year round, encompasses 75 well-established campsites and an important part of Nueces County Park. One of best attractions in IB Magee Beach is ‘Horace Caldwell Pier’ – the 1240 feet long pier protruding into the deep of Gulf of Mexico. With 8 mile stretch of fine white sands and sparkling waters, Magnolia beach is perfect for a family ‘beach day’ under the glowing sun. Located on the coast of Lavaca Bay, the beach is comparatively small than other Texas beaches albeit it offers no shortage of beauty and beach activities. The area containers a good number of picnic spots with rooftop and benches, volleyball court and kids’ playground. Surfing, pier fishing, deep sea fishing and bird watching are other popular activities around the beach. Charter a cabin in Crystal beach, and it will seem like you are in your own private world with gentle surfing sound comfortably filling the ear! 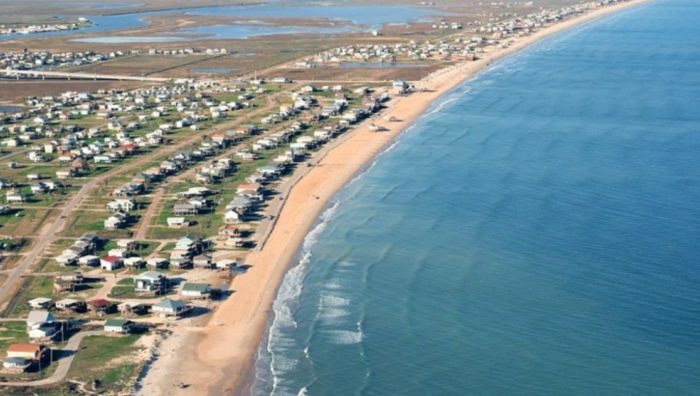 Located on Bolivar Peninsula along the state’s upper gulf coastline, the beach offers plenty of fresh seafood, local nightclubs, crabbing and swimming along with its enthralling beauty at the sunsets. The beach also houses the famous Texas Crab Festival – weekend-long event of Carnival Rides, Crab Races, Crab Gumbo Cookoff and Crabby Arts and Crafts. Surfside Beach is located in Southern Brazoria County within the driving distance from Huston (around 60 miles). The Gulf of Mexico is lapping against the beach on the southeast side, and entrance to the Freeport harbor is encompassing the southwest side of it. The beach is remarkably clean. You can drive on the beach, make bonfires and park your vehicle at anywhere you feel like (which isn’t so common in most of the Texas beaches). Fishing, surfing, boating, and shelling are some popular activities in Surfside Beach. Want some fun under the sun away from the big crowds? Visit Matagorda Bay Nature Park beach! The beach is part of a 1600-acre Park and Preserve and has two miles of Gulf of Mexico beachfront and two miles of Colorado River frontage. The beach features hundreds of acres of coastal marshes and sand ridges and a sanctuary for birds making the area one of most popular bird watching spots in the country. Fishing, birding, canoe & kayaking, camping, beachcombing – all sorts of beach activities are allowed and available here. Mustang Island is a barrier island adjacent to Port Aransas and is listed as a state park with an amazing sandy beach of 5 miles. The beach was named like this because of the freely roaming mustang horses all over the island before ranching take on the place. Tourists coming to the beach typically spend their time walking on the sands, collecting shells, swimming on the island shore or watching birds. Surfers rule over the waves when the wind is strongly blowing. When windfalls, paddleboarders, and kayaking take over take over their place. Once famous for the notorious 18th-century pirates, Port Aransas is now well- known for its 18 mile stretch of sandy beach, many resorts and great fishing sites. The count of people surpasses over 60 thousand here during summer break. The beach hosts the renowned ‘Sand Fest’ – the yearly sand castle building competition on the beach which typically turns out to be ‘less competition, more festival.’ Popular beach activities are swimming, snorkeling, fishing, bodysurfing, surfing, boogie boarding and much more! With a towering salt dome of 38 feet above the water level, High Island is a tiny town of two beaches on its two sides – eastern and western side. The salt dome is the topmost point around the Texas coastline of Gulf of Mexico. 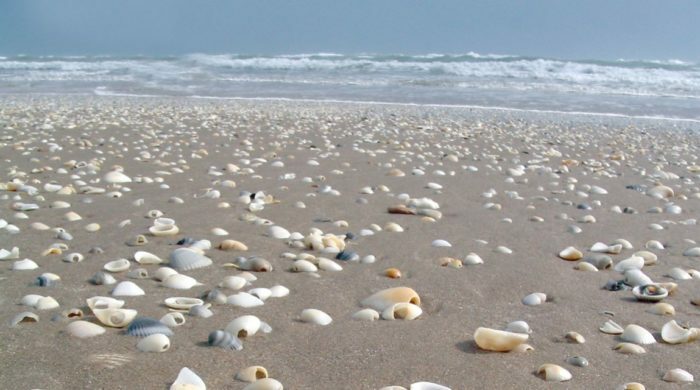 The beaches are a bit remote and filled with granular sand and dotted with deserted colored shells. There are four bird sanctuaries around the area operated by Houston Audubon Society, and the sanctuaries are nationally renowned ‘heaven’ for birdwatchers. Located across the Port Aransas, San Jose Island is the place to dive into Texas’s unspoiled natural beauty and white sands. The Island was a ranch before, and a major area of it is still in private hands. Nevertheless, the public portion is beautiful enough with a long stretch of white, sparkling sands, various types of birds and colorful shells covering the whole beach area. No condos, cars or houses are around to disrupt the spread of solitary beauty. 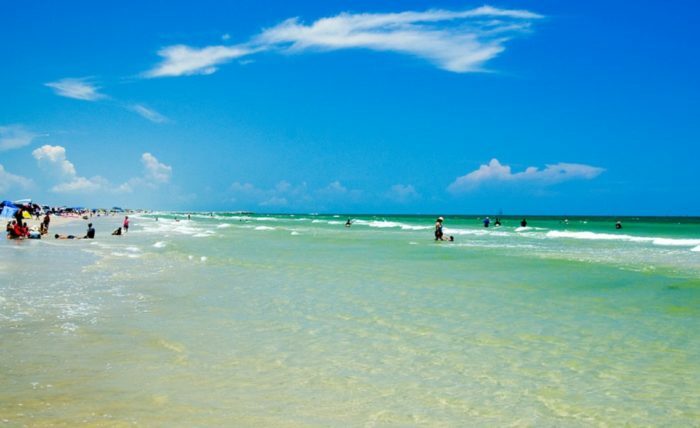 Be the first to comment on "15 Most Beautiful And Best Texas Beaches"